In the age of mobile apps, there are huge opportunities for developers to bring their work to the market and earn a good living from their work. Writing great code is only one part of the story though. You are also going to have to spend time promoting your apps. 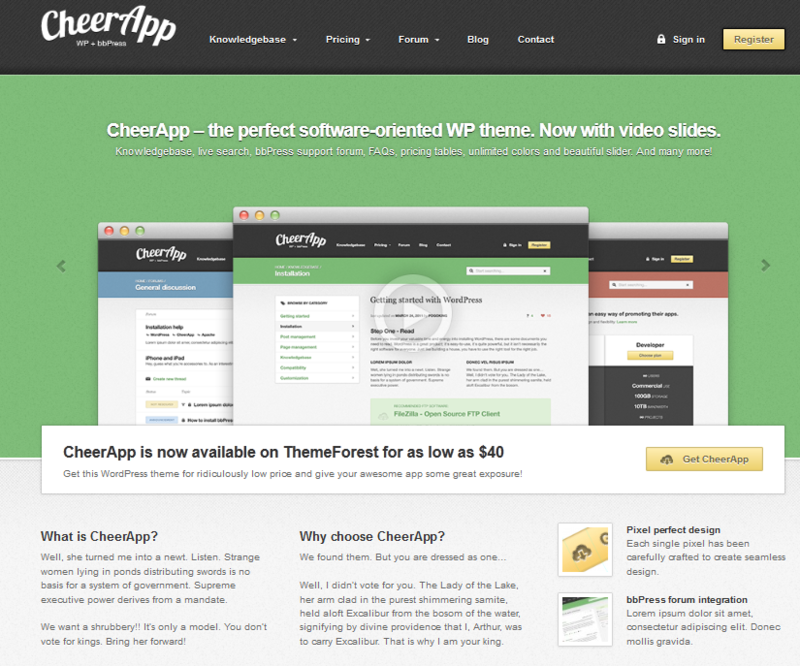 CheerApp is a cool theme that allows you to put together an attractive portal around your app. It not only looks good but comes with a companion bbPress forums skins, so you can put a support system together for your products. CheerApp has an attractive design and gives you the chance to promote your apps in an effective fashion. The theme options panel allows you to change colors easily. 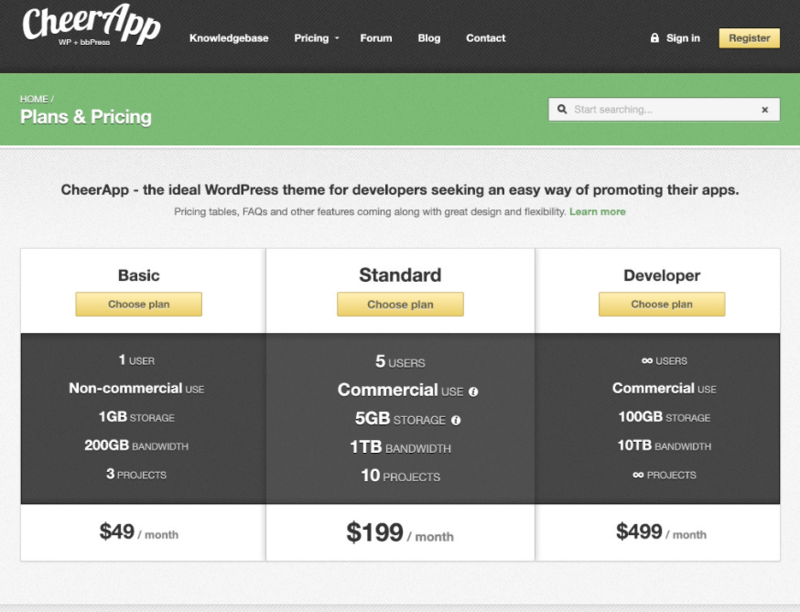 You get live search, pricing tables, and FAQs. As mentioned earlier, you could use bbPress to set up a forum to provide support to your customers, answer questions, or gather suggestions. The knowledgebase feature is a plus. 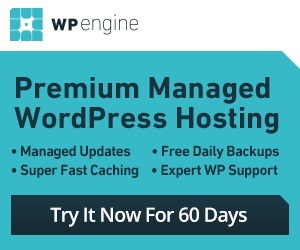 It lets you maintain a side-blog to provide your customers and prospects with updates. CheerApp is video friendly too. If you need a theme to promote your apps with, CheerApp has you covered. You are still going to need a killer product to succeed though.